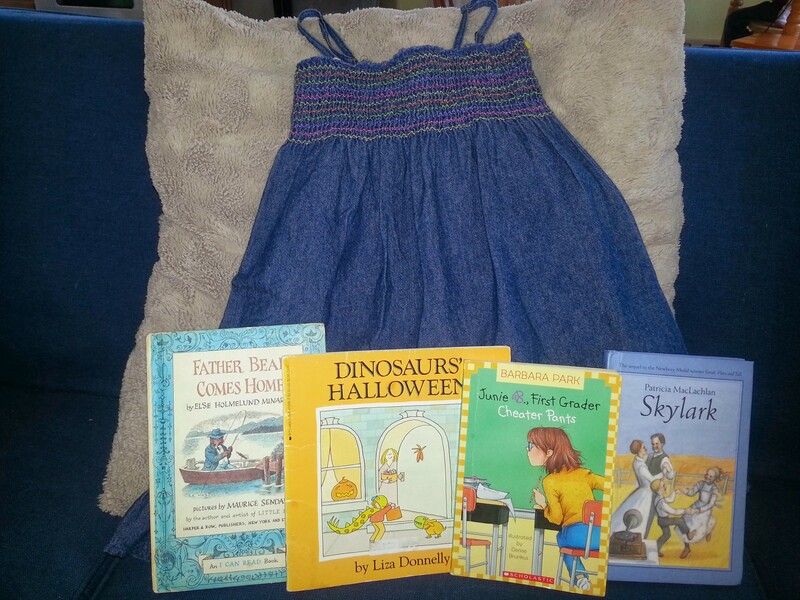 A cute denim sundress for my daughter ($4) and some kids’ books; books were 4 for $1. The Dinosaurs’ Halloween book was serendipitous because my little guy’s favorite things are dinosaurs and costumes. 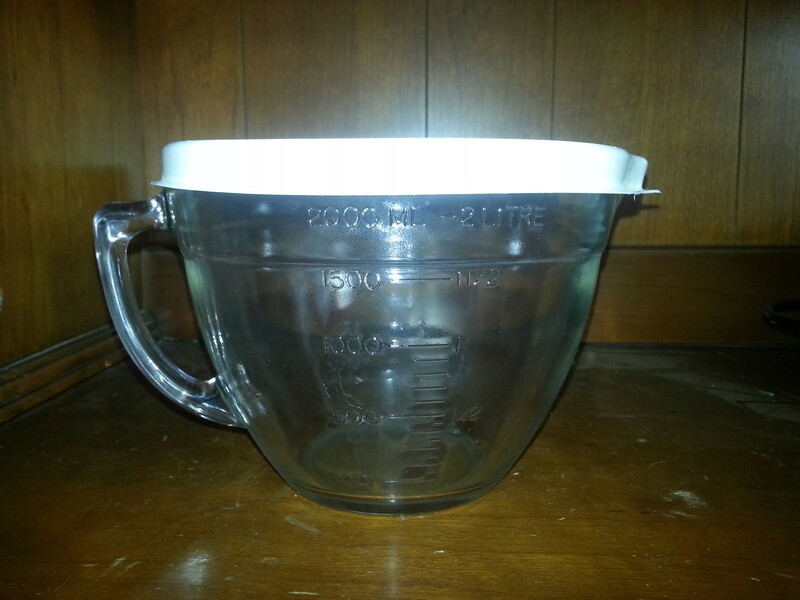 A Pyrex giant bowl/measuring cup with spout, for my mother-in-law for her birthday ($5). I have one I use all the time, and I think she’ll like it. And she will like that I got it at Goodwill, since she is a thrift shop/flea market professional. Finally, I found a two-pack of IKEA picture frames ($3; 8.5 x 11) in the perfect colors for these images that I bought and printed a while back. Not sure exactly what I’m going to do with them, but I like them. 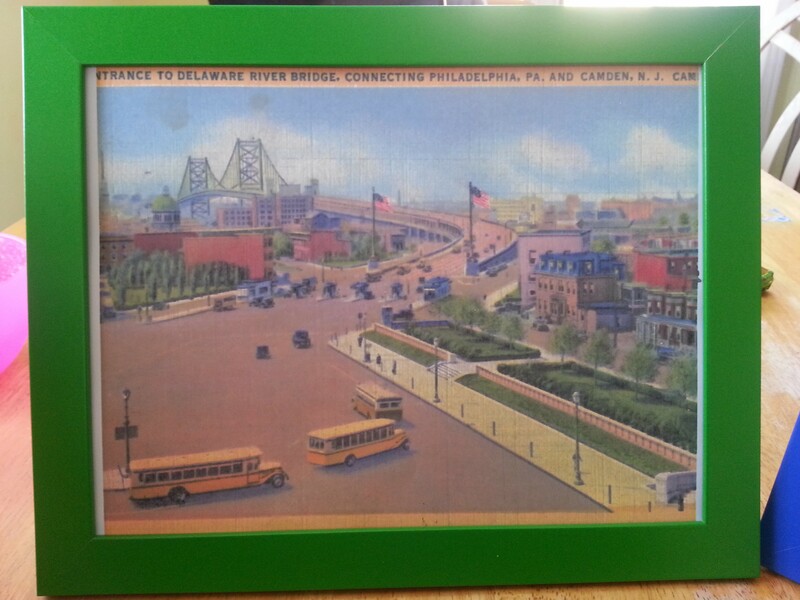 They are the front and back of an old postcard showing Camden, NJ and the Ben Franklin Bridge. Camden is where my dad grew up and it occupies a certain place in my consciousness for that reason and for others. 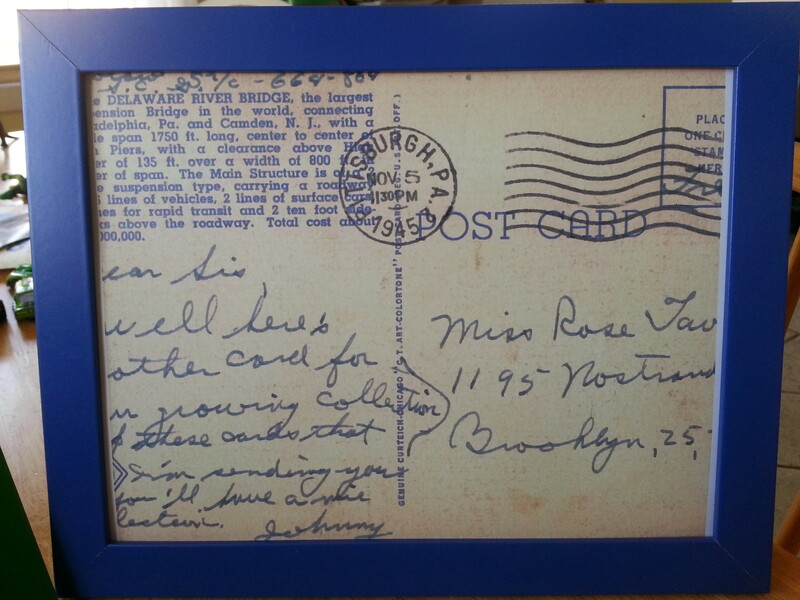 It’s postmarked 1945. The site where I got it is cardcow.com and it has many interesting vintage postcards. $13 total. And the Goodwill itself is more pleasant than the one I was going to, although smaller. Glad I found it. ← What Would Happen If Everyone Became Frugal? Which Goodwill is it? Cherry Hill? That one is smaller than the Stratford one. No, it’s on the Black Horse Pike… Runnemede? Haddon Heights? I’m not exactly sure what town it is. Where are the Stratford and Cherry Hill ones?? I had been going to Pennsauken.